Fenty Beauty by Rhianna Haul! I haven't been this excited about a makeup launch in a while! When I first heard about Fenty Beauty by Rhianna I wasn't excited to be honest. I wasn't planning to buy anything and was just looking at the instgaram posts out of the corner of my eye. Then the launch party happened...and I became a believer LOL. As I attended the launch party vicariously through instastories and snapchat I found myself writing a mentalist of everything I wanted needed! So by morning operation fastest way to get some Fenty Beauty was in full swing LOL. The operation was successful! Below is everything I got and why. My first impressions video, trying all these out will go live shortly! I got the Pro Filt'r Foundation in 450 & 460. 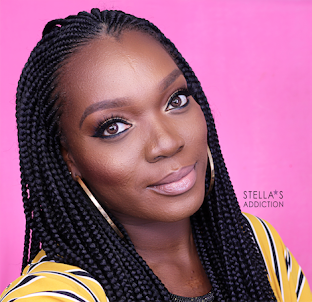 I was most excited about the foundations to be honest, their finish, wear and the shade range made it so. Pro Filt'r Instant Retrouch Primer. Since I got the foundation I figured it would be a good idea to try the primer made to be used with it. The Match Stix Trio in Deep (Suede, Espresso and Sinamon). A close second on the excitement scale plus I like the idea of a cream highlighter. Killawatt Freestyle Highlighter in Tropy Wife. So I already own a lot of highlighters but this looks nothing like any highlighter I have or have seen. This shade also reminds me of an eye shadow from Pat Macgrath labs that sold out before I could say dollar LOL. So that's my Fenty Beauty Haul, editing my first impressions video now so that should go live soon. Have you ordered anything from Fenty Beauty? What products do you have your eyes on? I rushed here as soon as I saw your post on IG! YES PLEASE!!!!!! I love your haul! How on earth were you able to get it to Nigeria so fast ma? I'm impatiently awaiting your first impression and review video on Youtube ma!!! LOL I have my sources ;-) First impressions video uploading as I type! I wasn't excited about the news of this line but after the luck and seeing the complete inclusion of the line, I fell in love. Heard the dark shades were sold out in no time. Welcome Doreen! I felt the same way! They are sold out everywhere by now. 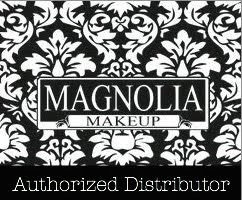 But gladly its a proper makeup line all the products are permanent so restocking is only a matter of time.